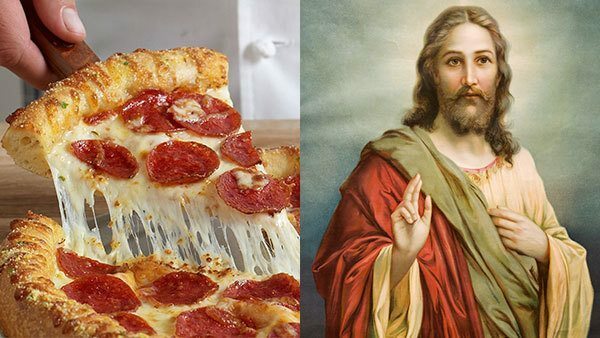 The Indiana pizzeria that declared it would deny service to gays and lesbians has turned away its first customer under the religious protection act; however, the patron an employee described as “a queer-looking fag” happened to be Jesus Christ himself. When asked how she came to this conclusion, O’Connor claimed she could tell just by looking at him. As Christ was unable to feed himself anywhere in Indiana, he gave up and postponed the second coming to a later date. For more on the food industry choosing the wrong side of politics, check out Starbucks Barista Replaces Ferguson Police Chief.